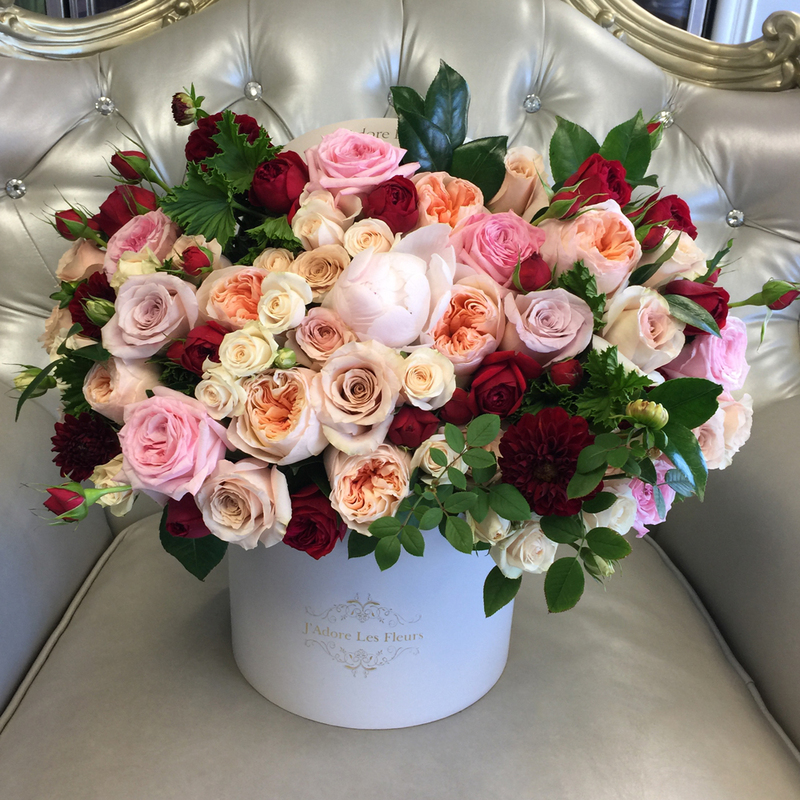 This stunning arrangement is filled with lush garden roses and smells heavenly! Perfect for the garden rose lover. The arrangement in the photo is in our large size box.